With its unique position as the natural midway point on South Florida’s Okeechobee Waterway, connecting Stuart on the east coast to Fort Myers on the west coast, via Lake Okeechobee and the Caloosahatchee River, Glades County offers a variety of available sites for the marine industry sector. 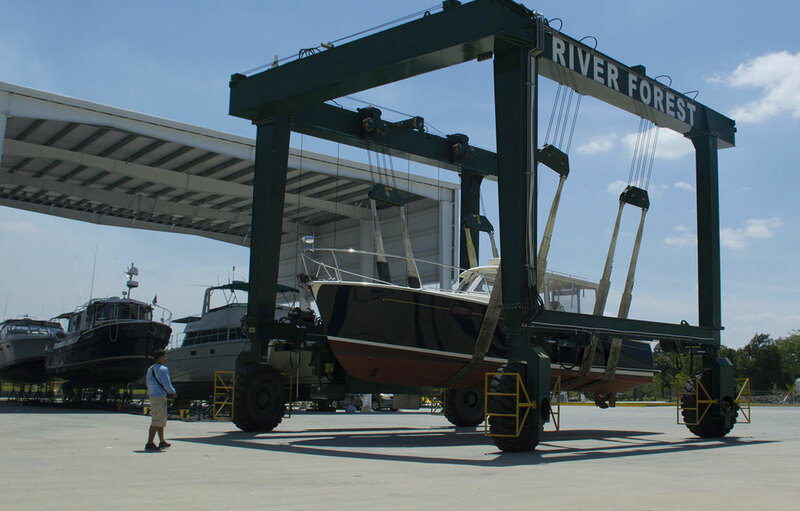 In 2009, River Forest Yachting Center opened in Ortona (just outside LaBelle, FL). River Forest’s $11 million Ortona facility boasts more than 100,000 square feet of climate controlled storage buildings, 1000 feet of linear dock, a two-acre barnacle free 900 ft. deep water basin, an 82 ton marine travel lift capable of transporting boats with up to 22 ft. beams, two acres of concrete pad for outdoor storage, a clubhouse complete with meeting space, galley kitchen, and ship store. The presence of an excellent new and additional customer base, and the availability of affordable waterfront land were important factors in that decision, as well as, the very positive and willing to help response from County and City officials. In addition, the availability of a large workforce played a role as well. River Forest is expected to begin construction on a second basin and an additional 50,000 square foot climate-controlled storage facility at the Ortona site in 2018. In late 2017, long time Glades County fishing guide Robert Power and his brother-in-law Brian Shadd of Arizona formed a limited liability corporation, S&P Marina Services, in response to a request for proposals from the City of Moore Haven to operate the city marina, which boasts a boat ramp, covered and linear docks and a dockmasters quarters. The Marina located off First Street, north of US 27, is now open, offering bait and tackle, convenience items for boaters like soda and ice, fishing charters, dock rentals and airboat tours. Also in 2017, STORM Boats, which started as a custom boat manufactured by Crowell Marine Industries back in 1978, opened under new ownership and is continuing its tradition of putting quality over quantity in boat construction at their new facility in Lakeport. With 60 miles of waterfront along the Caloosahatchee River and more than 30 miles of trailheads along Lake Okeechobee, Glades County offers affordable safe harbor for marine-related businesses and boaters of all kinds.